16 Finally Pilate handed him over to them to be crucified. So the soldiers took charge of Jesus. 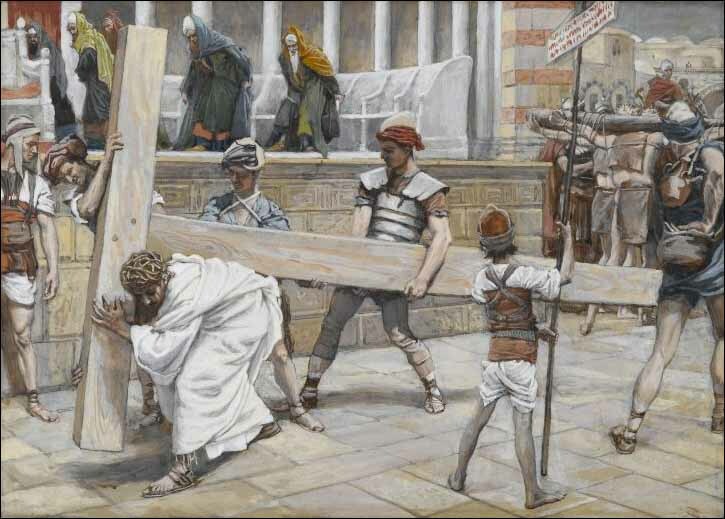 17 Carrying his own cross, he went out to the place of the Skull (which in Aramaic is called Golgotha).